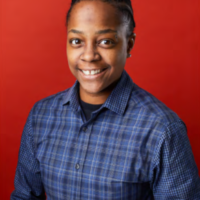 Jennel Nesbitt is a Program Associate for the Criminal Justice Initiatives at Borealis. She is an Advocate and Activist whose work is committed to Criminal Justice Reform. As a young adult with no priors, Jennel was sentenced to 17 years (12 in prison; 5 on parole) for a violent crime where no violence ever occurred. After being railroaded at trial, and convicted criminally liable for another person, Jennel appealed her case 8 times – pro se. Jennel has firsthand experience of the brutality of the criminal justice system, and how it alters and destroys the lives of women. She uses these experiences to expose the many forms of injustice (not in mainstream conversations) in hopes of revealing the systems hidden features, so we cannot just try to change a system that was designed broken, but work to dismantle it. Instead, focusing on solutions beyond prison and parole as a tool for justice. 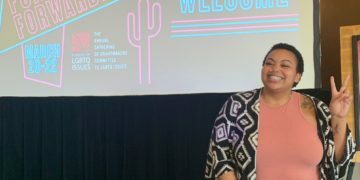 Jennel is currently an Advisory Council Member for the Department of Health and Mental Hygiene’s “Health Justice Network” program, which is designed to plan and provide better health services for people with justice involvement. Recently, she completed an Urban Food Farming internship with ‘Black Urban Growers’ (BUG), which focused on developing skills in community organizing and food justice advocacy. She has written a research project titled, “The Nature of Mental Health Care in NYS Women’s Prison,” and is currently working on another research project titled, “Prison Food; A Human Rights Violation.” Previously, Jennel was a Ford Foundation fellow for one year, where she explored multiple career paths through the finance, facility management, and communications department. Prior to her exploratory phase, she worked at the Women’s Prison Association as a Community Liaison and Case Manager. She served incarcerated women and disadvantaged families in the Brownsville and East New York area in Brooklyn, who were at risk of losing their children to the foster care system. She partnered with Maxwell H.S., where she mentored disadvantaged youth. She also helped launch and develop Working It Out (WIO) a gender-specific work readiness and employment program, which aimed to address the unique risk factors that could lead to a woman to commit a crime. Jennel is a College and Community Fellowship (CCF) Alumna, and a CUNY BA Graduate. She attended John Jay and Hunter College, where she earned a Bachelor’s degree in Criminal Justice and Human Rights. She also earned a Liberal Arts, Associates degree with Bard College Prison Initiative. Born in Brooklyn, Jennel enjoys playing basketball and writing conscious rap music.